DNA SBS is designed for small businesses with limited doorways. 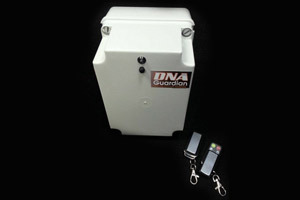 It comes standard with 2 x remotes and small capacity DNA spray solution of approximatly 5 sprays. Remotes, Cash draw noteclip, GPS/GSM notification.